Hyundai Auto Canada Corp. announced late Monday that after 28 years with the company its president and chief executive officer Steve Kelleher will retire on April 30. Kelleher has been serving in this capacity since 2002. Replacing Kelleher on May 1 will be chief operating officer Donald Romano. Commenting on his time with the company Kelleher said, “It's with a tremendous sense of accomplishment and pride that I am able to announce my retirement from Hyundai Auto Canada. "Working for Hyundai in Canada has been an incredibly rewarding, exciting and challenging experience. My retirement is something I have been working toward for some time and am able to make this step because we have found the right person in Don Romano to take Hyundai to the next level of success,” he continued. Romano joined the company on January 6, with over 29 years of automotive experience positions in Canada, the United States, and overseas representing the Nissan, Mazda and Toyota brands. Romano was president of Mazda Canada from 2006 to 2012. In 2010 his responsibilities at Mazda expanded to include chief marketing officer and guide the company's marketing activities across North America. "Hyundai has achieved unprecedented sales growth over the past decade. To continue that trend, it will be my responsibility to challenge all aspects of our operations and elevate our performance in every area of our business," said Romano. 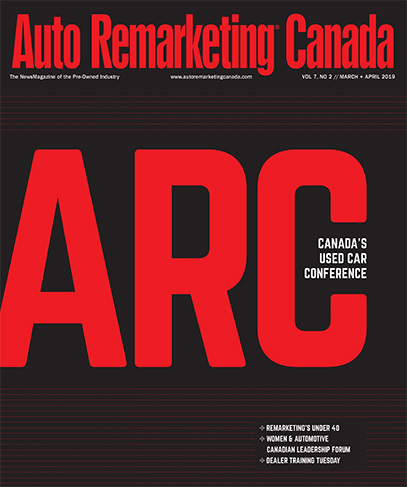 In revealing the executive change, Hyundai Auto Canada also took the time to look back on Kelleher’s tenure with the company. "We would like to recognize Mr. Kelleher's unparalleled service to the Hyundai brand and congratulate him on a truly exceptional career," said Tak Uk Im, executive vice president and COO, head of international operations division, Hyundai Motor Co. "Due to his courage and skilled leadership, Hyundai grew remarkably and emerged as a leader in Canada. For 28 years he served with honor, distinction, and the strength of character. We are, and shall remain, forever grateful." Kelleher spent 10 years with the Ford Motor Company of Canada, and joined Hyundai Auto Canada Corp. in 1986. This was just three years after the brand first entered the Canadian marketplace. Kelleher began his work with the company in the parts department and eventually became the director of parts and service in 1995. In 1997, he was named vice president of sales, marketing, parts, and service, before entering his most current position as president and CEO in 2002. “Hyundai's most dramatic growth in the Canadian market was during Kelleher's tenure as president and CEO,” company officials said. In 2002, the company sold 66,917 new vehicles from a line-up of products bearing six nameplates and found at 156 dealerships nationwide. In 2013, a record total of 137,100 vehicles were sold — more than double what was sold in 2002 — from 210 dealerships showcasing 12 nameplates. "On behalf of all the Hyundai employees and dealers that have worked with Mr. Kelleher over the years, I would like to thank him for his visionary guidance," said Romano. "The single best way we can honor his investment of time and energy is to dedicate ourselves to our business and ensure Hyundai continues to succeed. He has led us on a path to new heights, and it's now our responsibility to continue that trend."